When you’re a little nervous, there’s something relaxing about the rhythmic motion of stirring, and the smell of warm peanut butter and toasted oats wafting through the kitchen. Tomorrow is my first day of school, and I’m a little nervous. My uniform is laid out – chef’s coat, checked pants, neckerchief, apron, hat, side towel, black leather shoes. I’ve gone over chapter one in the big binder, learned words like épluchage and a l’étuvée, packed my notecards and pencils and pens. And I’ve mixed a big batch of homemade granola. There are no real set quantities for this recipe – basically, you’ll need enough raw oats to cover the bottoms of two 9×13 metal baking dishes, and enough of everything else to sprinkle liberally on top. If you’re particularly fond of a certain ingredient, go ahead and pile it on. If you’re not so fond of another, skip it (I won’t tell my Aunt Marie, even though she does know what she’s talking about. She just wrote a book, for goodness sake! Check it out here.). Just enjoy the sprinkling and stirring, and the wonderful smell of sweet, toasty nuts and grains. 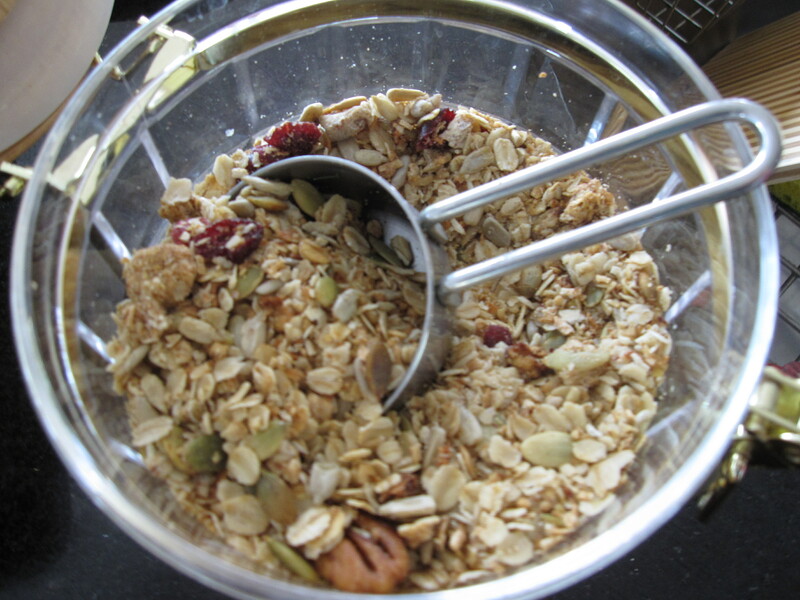 This makes a lot of granola, so feel free to half the recipe, but it also freezes beautifully, so don’t be shy about making the whole batch. Bake the mixture in the preheated oven for about 20 minutes, stirring occasionally, until toasty and golden. Cool granola thoroughly before storing indefinitely in the freezer. This sounds delicious! And granola is good for you, too, right? This sounds so good! 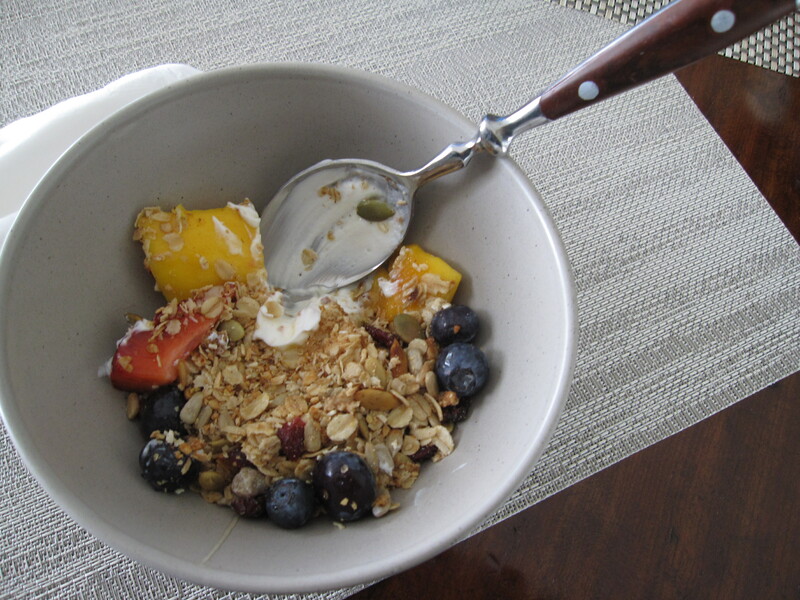 I just finished the last of my latest batch of homemade granola so I just might have to try this one! can't wait to make it, molly! How's school going?! I hope you're enjoying it so far!